Dreams of travelling under the seas in your own personal submarine are no longer utopia. 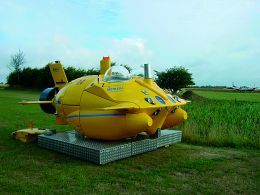 We are certainly not talking of a big-name U-Boat, but of a small two-person pleasure submarine designed by the British company Subeo. Gemini, this is its name, has characteristics that also make it a useful tool for the scientific field too, but this in no way detracts from the fact that it can be used as a practical tender for the entertainment of those deciding to include it on their yacht. Modern superyachts are all equipped with hangars the size of a modest apartment, offering plenty of room for Gemini, a "small accessory" that is all set to become a future trend. 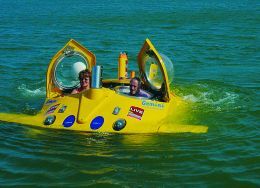 Thanks to new technologies, Subeo, a company founded in 1993 by Robert Leeds, has produced a submarine that until recently was unthinkable. The old control systems were too complex for non-professional use and were decidedly complicated for piloting. But with the advent of new automatic systems it has been possible to bring this highly technological and complex means of transport within everybody's reach. 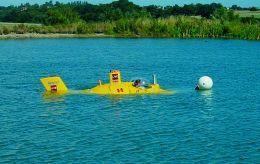 Despite its compact size, the Subeo mini-sub has the same equipment as large submarines, such as the buoyancy tanks, trim adjusters, lead batteries, air conditioning system, dehumidifier, engines both forward and astern and helm with automatic control systems that can be disabled. Gemini also has survival systems sufficient for two people for a maximum of 72 hours. This compact submarine can reach a depth of 50 metres, not excessive but one that with new experiences and technologies will definitely be improved upon in the years to come. For further information: Subeo; 99° Connaught Avenue; Frinton-on- Sea; Essex CO19 9PS; England; tel. 0044 1255 678196; fax 0044 1255850301; website www.subeo.com; e mail enquiries@subeo.com.